I have bought these watches for many years now, my wife also had them for school as a teacher. Absolutely reliable. Battery lasts about 3 years, and I just replaced the battery for £1-50 . I like good honest, reliable design, this does that and with a clear readable dial. Good little watch, does what you would expect.for one of its price. Its a small size and comfortable to wear. Easily adjustable time using dial on the side. No fancy features, you get what you pay for. It is waterproof wore swimming in sea. My mother loves this watch, face is clear and easy to read. The strap has enough holes to fit her small 94 year old arm. The price was very competitive for a watch that will last for years, thank you Casio and WatchShop for 1st class service. Perfect little watch for a low price. Ideal for taking travelling. Wont be stolen and doesnt matter if lost because so cheap. Very lightweight and comfortable to wear. Bourght as work watch. The Casio watch is quite comfortable and it is really easy to tell the time with. I am short sighted so wanted a watch with which I could easily tell the time when I was not wearing my glasses. It is a good sized watch, and not too big or small. It is possible a bit more masculine than unisex, but if you dont mind then its not an issue. I highly recommend the watch! Brilliant little watch, comfortable and really light. Does the perfect job for travelling or simply carrying around on a day to day. Nice watch slightly bigger than a child watch . Old school watch. Casio makes great quartz movement for time keeping and this one is one classic timepiece. I intend to use it everyday. An all-round watch for all occasions. This model is a humble reminder for all designs modern about minimalist look. Very pleased with the purchase! This is a handy watch to have , Its face is very clear, And now I do not have to squint or keep my glasses near. The strap will fit just any wrist, you do not need to pull and twistI I teach the piano every day and now I know just know what to say, Your time is up so off you go, I see you Ill see you here another day. Thank you Watch Shop it was well wrapped and also it was sent with speed. So now I can say that I am - a happy customer indeed! Its a great watch - easy to read and comforatble to wear. A very inexpensive watch but plain, simple and to my mind very a pleasing design. So far 10 days works fine. My daughter was absolutely delighted with this watch and couldnt wait to show it to her friends at school. Good light weight water resistant watch for use when jogging. Easy to read. Remarkable value. Very happy with this watch. Really good value and useful when yuou dont want to wear an expensive watch i.e. when gardening or painting! Good clear face and practical strap. A bargain. Really fast service and the parcel came well packaged. I have used the company many times and would defiantly recommend this company to friends for the great prices and service. This is a great practical watch! Its comfortable and stylish with an adjustable strap perfect for what I need. 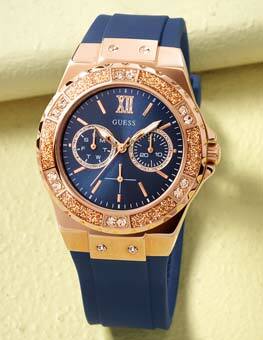 Ordered watch for my mum who was in plaster having fractured her leg. It really cheered her up. The Casio Classic MQ 24 is exactly as named - Classic. Clean looks, slim profile, easy to read and not too large, it is the ideal general purpose no nonsense watch ! Really good value everyday watch with a strap that lasts and a lovely clear dial. Have already ordered two of these watches and also recommended them to other people. good product, well priced. We have bought three so far! Unisex Casio Classic Watch MQ-24-7BLL - Unisex? Bit big for some ladies perhaps but otherwise a splendid watch, certainly for men. Keeps really excellent time, easy to read and easy on the eye. Comfortable on the wrist too, doesnt need the strap tight to stay just where you want it. This is my second purchase from The Watch Shop. Once again, incredible value and superb service. We were really pleased with the work watch and received positive comments. The dial has numbers, not hard-to-read slash lines the watch is water-resistant but has no unnecessarily complicated features it keeps perfect time I know because my previous one, same model, still does only problem, the synthetic strap has started to crack after five years. But, oh dear, they wont want to print this review implying that a watch neednt cost more than £10.80. fantastic for the price, bought as a working watch for my wife instead of using her omega for general household chores. I could not have viewed a selection of watches of so vast an arrangement and very good value of price. Bought for my husband, he hates stiff leather straps. The make and model purchased is his favourite. Excellent value for money and last years. bought as a gift for my grandson, it looks ok but will no know until he receives it. I was looking for a cheap holiday watch, and I am very happy with this model as i dont have to worry if I do a lot of playing!! slightly loose on a 5 year old but wearable. nice clear dial with minute markings which pleased the child in question. Excellent service as usual. Useful basic watch bought for use when a watch could get damaged. Wanted every day watch that I could see time easy. Watch has lovely clear features. It is very lightweight and a nice fit. I was looking for a watch that could replace my old mechanical watch. And I think I found the thing to my taste in this watch. I am very satisfied with the watch. It has a classic design and very lightweight so that you do not even feel it in your hand. You can wear it with casual clothes as well as evening clothes because of its design. I like how black and white colors harmoniously fulfil each other. Nice resin strap and easy to handle. Good value for a good price. Just what I wanted, simple and straight forward to give to a person who wanted a watch with hands to replace a lost watch. 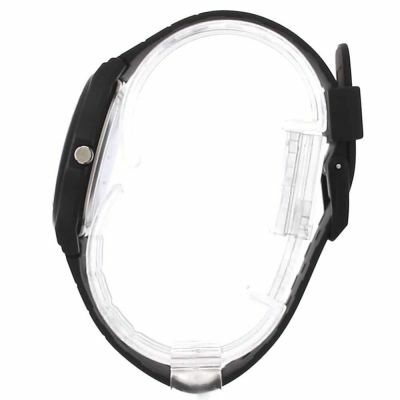 Brilliant watch, clear face to read, takes the wear of working behind a bar, lightweight and easy to put on, the price for the product is extremely good and it arrived the next day! Good watch, lightweight. Accurate and comfortable. Great value. Good watch for the money.Good clear dial, easey to read, perfect for every day. This is the third one I have bought. 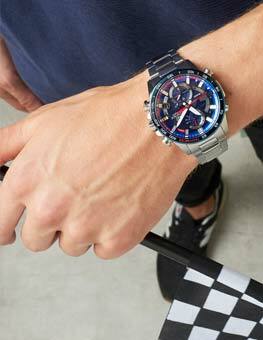 Nice watch, looks as on image. Good little water resistant watch, ideal for swimming . Battery seems to last a couple of years. This is a great watch at any price and at this price it is just amazing. Looks very smart and even elegant. Good simple watch with easy to read face. However, changing the battery seems problematic. Have had two previously. When battery went down I changed it for another but watch did not work. Took it to my friend in a cobblers shop who fitted a new battery and still not working. He then tested the watch and founded it was broken. Same thing happened with the second watch. Given the price of the watch and the price of batteries it was jest as easy to buy a new watch. Would have been nice to be able to change the battery at least once though! Very nice watch for very little money. Bought these for engineers to wear at work due to all plastic strap so no electric shock hazard. Watch is nice, comfortable and a reasonable price. The bold print of the numbers stands out. I have small wrists so the size of the face is perfect for my hand. Thick strap and overall decent watch. Excellent product. A very nice purchase. The watch is light and extremely clear to read. It is exactly the watch I want for daily wear. May buy one more for my husband as well. Ideal modestly priced watch for those requiring to keep an eye on the time. 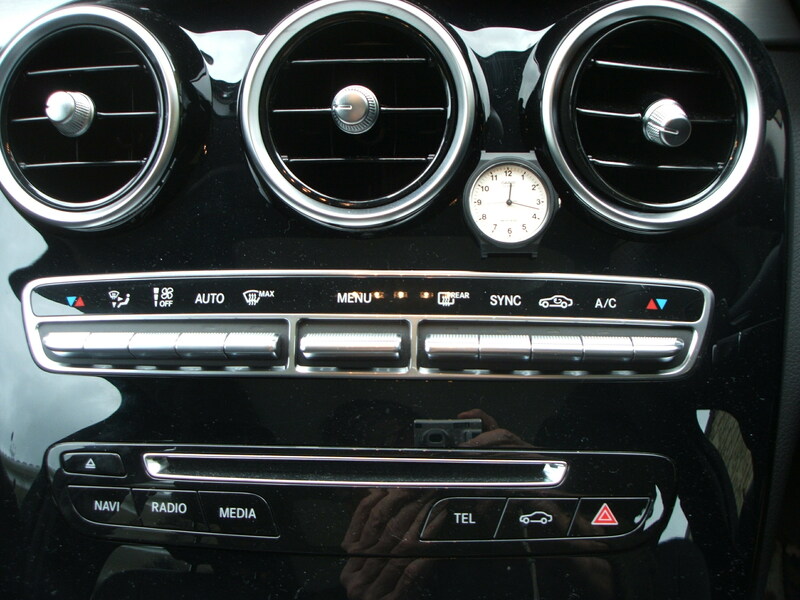 Plain, easily readable dial. Watch is used by me as a temporary replacement for my usual one now in for repair. At around £10 its great value for the money, looks quite attractive, and works perfectly fine. Only surprise was that replacing the battery needs to be done by Casio agent. Probably never required in my case since Ill have my regular watch back, but cant help wondering if there is a significant cost for battery replacement. Sure I wrote a review when I registered my purchase. Service and product superb, would recommend to anyone. The service was very good. Delivery of the watch was really fast. The quality of the watch is excellent. I bought this watch for the second time now as I received excellent service first time round, the watch is also a very reliable and a hard wearing watch. A really nice looking watch. Comfortable to wear, nice clear face and so cheap!! I wanted to buy a watch I could wear everyday, and this Casio classic watch fit what I wanted. Its designed simply but sleek and goes with every outfit I wear be it on the casual or formal side : I LOVE IT! There are a lot of cheap watches out there but this Casio watch is really up there with its quality. It definitely is quality over quantity with this watch. So far I havent found any faults and I dont think I ever will! Definitely recommended. Wish i never bought it, theres no pictures on the website of anyone wearing the watch and when it arrived it was pathetically small.. I know it was only about £10 so i wasnt expecting anything special but i have literally just thrown it in the bin, it looks stupid.. Service was fine, delivery was quick. I like this watch very much. It is the second one that I have bought. Very simple classic look for amazing price. Good basic watch, black in colour. Perfect for everyday use and a very good price. A functional watch for the slightly visual impaired. Basic design and easy to clean. I bought two of these for my grand children, they are 7 and 9. I am teaching them how to tell the time, and these watches are ideal. The classic, simple look makes the watch very appealing and easy to teach them! The straps are of a good quality and fit comfortably around their small wrists! Im so impressed with this product and its price I might even buy myself one! Replacement like for like old one still going strong but strap snapped and couldnt get it replaced at stockist. They a great reliable watch very very good value. looks good but understated, no one will be attracted by it and mug you. Get one! I purchased this watch which is my second one to use on the dash of my new Mercedes C class as no analogue clock is available. The watch is held on with a spot of blue-tack and with the case being black does not look out of place. The first watch which lasted 9 years was used on 3 past Mercedes, photo attached. Light, slim, very practical for everyday wear. Price very attractive, so just what I wanted. Good quality cheap everyday wear watch This is my 3rd each lasting at least 3years Its the strap that breaks before the watch. Keeps good time is easy to read as the large black numbers on white dial show up and it is showerproof so dont have to take off whilst washing Am I lazy or what? ideal for male or female It would be even better if it glowed in the dark!! Im a woman and find that this watch is just the right size to be able to read easily. It sits nice and snugly on your wrist and so doesnt get caught on things as you reach into boxes or tight corners. Its perfect as a everyday watch as the price is good and it looks smart. 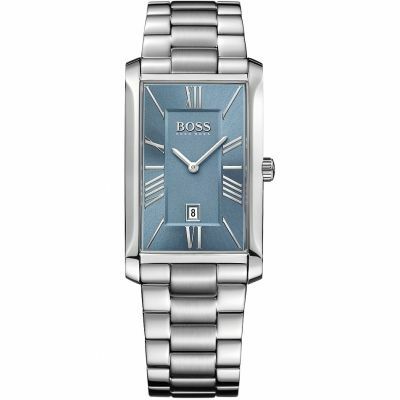 This is a basic classic watch that not only looks good and elegant, but is amazingly cheap! It is the 3rd watch of this type that I have bought over a ten year period - the only reason for buying a new one is because the strap wears out! Its cheaper to replace the whole thing than try to buy just the strap. Needed a decent, yet cheap watch for work at prison and so far this watch is doing great. If it does get nicked it is not expensive. The quality is very good and it gives out the correct time. Super simple to use. I needed a watch which I could wear for running so when it got sweaty it wouldnt come to grief. This was low cost item with a rubber strap that I can wipe over. Perfect for the job. Good retro watch. Remeber these watches from my youth. Simple , durable and reliable. I needed a simple, basic watch with an easy to read dial. This was not the most stylish in appearance but exactly what was wanted and at a very good price. This product was good. It has nice clear numbers. It is fairly basic but good value for money, and what youd expect for this price range. The courier brought me the watch about one hour ago. Put it on my wrist - have to admit it feels awesome. The band has lots of holes which is excellent for me, considering that I have pretty small wrists. All in all, 10/10 for the product and the mailing system 11/10 for the Watch Shop staff Kudos to Jenny R. for helping me in the lowest possible amount of time☺. Cheers! Watch is perfect for everyday use, simple to use without any complicated buttons for changing or moving times. Great price value as it wont matter if anything goes wrong it can be easily replaced for £13. Having said that it hasd a 2 year guarantee which his great for a product as cheap as this. Inexpensive and nicely plain. A thoroughly good watch at a tremendous price. Much better than lots of others I have seen. Fantastic value for money. But dont be fooled - this watch doesnt feel cheap at all. Very comfortable, looks good, seems hard-wearing... Highly recommended. I wanted an easy to read watch for when I go flying. Perfect watch for my purpose. This is a watch that does exactly what I want a watch to do. i.e. tell the time simply and clearly ... and nothing else. It is such good value that it is better to replace the whole watch when the battery goes. very simple and elegant watch. got 2 for my self. white and orange. Great watch for 10 quid! Enjoy using it while going for a swim, gym, rough work too. This is a cheap watch that keeps accurate time and is easy to read, I dont even need to put on my reading glasses! While I am waiting to buy a much more expensive watch it is ideal. I like the white face with black surround and it is comfortable to wear. Being waterproof is an added bonus. I have been very satisfied with a a Casio waterproof work watch in the past. The Casio classic is the exact replacement watch I wanted and at a very good price. Well pleased. TB Ramsgate. A perfect gift for my Dad !! !.Big dial which is very useful when we urgently c for time.Excellent watch!!! Brilliant value for money. Clear face making it easy for young and old male or female to read . Would recommond this watch to anyone. Good cheap timepiece. Watch and battery outlasts strap. On my 5th. Great value for money. I recently purchased a casio MQ-24-7BLL watch for my sister, who has difficulty reading small numbers. The watch has a large white face with bold black numerals that are easy to read. The strap is made from a soft plastic and is therefore comfortable to wear. This watch was inexpensive and my sister is very pleased with it and no longer has to ask me to tell her what the time is! EXCELLENT SERVICE AND ITEM WILL USE WATCHSHOP AGAIN!! ~ EXCELLENT SERVICE AND ITEM WILL USE WATCHSHOP AGAIN!! I needed a basic, good quality watch with no frills. I had no hesitation in choosing WATCH SHOP for my purchase after having such good service in the past. I was even more pleased to see that a SALE was in operation and that my watch was featured in it. Free postage was another big plus. My watch was delivered in 2 days in perfect condition and working order. WATCH SHOPs prices and range is unbeatable and I have recommended you to all my friends and family. Thank you WATCH SHOP for your brilliant service! This Casio watch is exactly what my husband wanted: This is a short review because there are no unnecessary frills, but this is ideal for someone who just wants to know what the time is! Very clear numbers on a white background which makes easy reading, Very comfortable to wear, and extremely reasonable! I recently purchased a unisex casio watch for my sister who has difficulty reading small print and numbers. The casio watch has a white face with large black numerals that she can see well. The strap is made from a soft black plastic and is comfortable to wear. 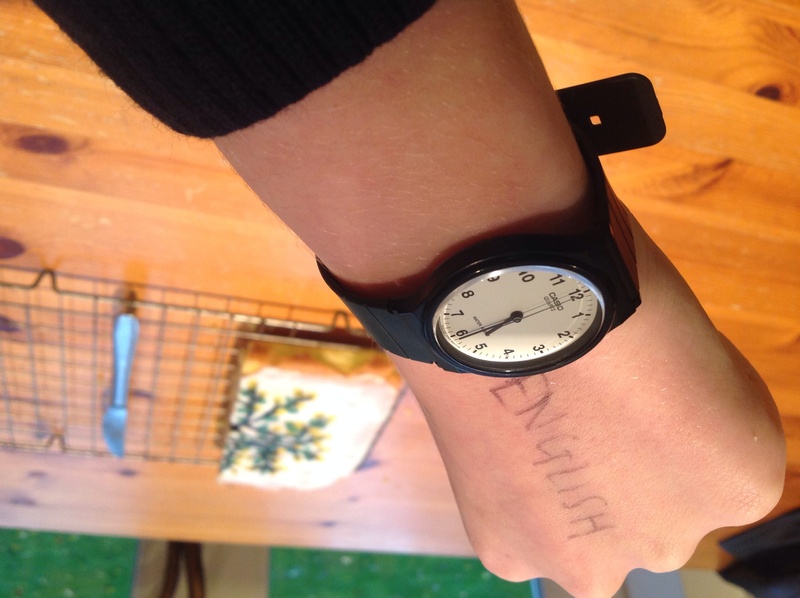 My sister is very pleased with the watch as she no longer has to struggle to read small numbers. The price of the watch was a little less than £10 but has been invaluble to her. Just what I was after at a price I was happy to pay. Could not ask any more from the delivery side. Ordered and delivered within two days. what i saw is not what i got. there was no full detailed description about the product. i thought it was a chain watch but it ended up been plastic. I purchased this watch as an everyday watch. I am very good at losing these things. Its cheap but its comfortable to wear and does its job!! Would recommend!! Great looking product! Looks great for such a cheap price, bought as a present for my boyfriend and the style suits perfectly. Simple, neat watch for every day use - exactly as described. The product was exactly what I expected. A simple, no fuss, mens watch, black with an analogue face. Should be up to a little wear and tear. If you love a simple unisex but stylish and an all weather wristwatch then this watch is a must buy. The wristwatch was as advertised online and i bought the CASIO with the surface colour of White, it is very light and really serves its purpose when i want to dress down or do some serious work and it fits perfectly in any weather condition, i love it, got my moneys worth and thank you Watchshop for the discount. Will recommend this never out of date wristwatch. I keep buying these watches, as they are cheap and do the job. Its a pity that Casio cant make the straps last longer, as its not worth buying replacements. I bought this watch for my daughter as an everyday kind of watch. She loves it - it is perfect! The face is easy to read, the strap is comfortable, and the whole thing looks very stylish. This watch is just the job, excellent value, easily readable face. strap perfect no fraying as with leather when perspiration catches up with the leather as I play a lot of sport. I was extremely impressed with the slimness of the is watch. It was also very comfortable to wear and the faces sharp and clear for reading. I love it. I am completely satisfy with the watch. Its simple watch face which is easy to read. I wanted a watch which was easy to read, not too dressy but professional enough to wear for my work at a retail outlet. This matched the criteria 100%!!! Plus my skin is quite sensitive so most plastic/rexin straps does not work for me. Ive been wearing this watch for work for few days now and I am quite comfortable with the fit. You can easily wear this for a casual or a dress down look. Very happy with the product! highly recommended! I am really happy that i purchased this particular watch, it has a very neat clear dial which is ideal for me as i am able to read the time when i dont have my specs on. Although it wasnt the most expensive watch in the range i am very pleased with my purchase . Perfectly simple watch. No fuss, no gadgets, no fancy frills - just tells the time. Job done. Good watch for the price, definitely a good choice on a budget. It looks fairly smart, but the strap might be a little bit small if you have large wrists. Had a casio watch years ago and kept it for ages. This is far superior - thinner, lighter, crisp watch face, easy to read. I actually think it looks more expensive than it really is but . . . . hey what do I know! Delivery service was great, just as promised. Would not hesitate to order again but I hope this watch goes on for ages! Its really light and thin with a very good quality, and the price is perfect for me. I wanted a watch that that was close fitting as not to catch on machines or tools in the workshop, I also wanted easy to read display, no thrills or lights or colours just a clear plain face with the added extra of a bit of water resistance . Well this Casio watch fitted the criteria, it has a low profile that it enables it to fit under any sleeve or working overall, it does exactly what i would want of a watch like it tells me the time on a bright white face which is uncluttered and i have worn this watch now in the shower, had machine coolant over it and it has spent many times under the tap. This Casio watch is so light you will noy know that you are wearing it and the strap is also very flexible which makes it so comfortable to wear, ans lastly and i find this one of the most important bits for me as this Casio MQ-24-7BLL at this price point has a Japanese movement, now what more could you ask for! I would happily buy this watch again if i did accidentally broke this one, overall an excellent watch ! Its some years since I even owned a watch, but recently found myself needing one again. This was for everyday wear, not a dress watch, and had to be suitable for wearing in professional situations and with a strap long enough to go round my wrist, which is large for a womans. This watch is practical, fits both requirements above AND has a face large enough for me to read without my glasses! I work outdoors in all weathers so needed a reliable waterproof watch with a straightforward clear face, and the MQ-24-7BLL by Casio fitted the bill perfectly. I like this watch because it has a very clear dial and I can see the time without my glasses. I noticed my doctor had the same model watch as he was checking my pulse. It is less than half the price being charged by my local jewellers shop. Just as good as the positive reviews. Wristband is perfect for me with three holes to spare and not small at all. Wanted a neat and easy to read classic watch for everyday use. This one is ideal. In fact I bought several one to keep as replacement should I misplace mine, and two more to give as present to friends, who like me prefer a watch that simply tell the time without fussy features. Good watch, clear display, very fast delivery. Lightweight, not too big a face, very thin. I like the plastic strap. Delighted with purchase and fast delivery, Third time used Watchshop and will not hesitate to do so again. This watch has a nice clean look, ideal for younger buyers. It is a little small for an adult mans wrist but good if you like watches that dont get in the way. The watch is clear and easy to read. It was cheap enough to be used for everyday use. Overall very happy. I originally bought this watch to wear for work as I needed something that looked professional but would not be too expensive to replace if anything happened to it scratches on the face etc. For the price it cost I wasnt expecting anything too special but when it arrived I was more than impressed. I like the build quality of this watch despite the price tag .The strap is very strong and it fits on my wrist without being too tight. I like the design Casio have gone for which is simple and straight forward. It has the CASIO logo on the face, the bit that holds the strap down and then again on the fastener. The face is white with black numbers and black hands. Underneath the CASIO logo on the face it says QUARTZ in a slightly smaller font. Then below the hands it says WATER RESIST in a slightly smaller font still. This simple design is very appealing to me and not only do I wear this watch to work, I have found my self reaching for it to wear on a weekend too. The only thing I do not like about this watch is, I find it hard to adjust the hands while I am wearing it, but that is the same for a lot of watches I own. Despite that it is quick and easy to take off, adjust and then put back on again. I am very pleased with the watch and would buy it again and again. I do not know if they do, but it would be nice if it was available in different colours too! All round, an excellent watch for the price! merely to go sailing,but cost is immaterial it is the quality of service that matters which is 5 star. I bought this as an everyday watch and it is perfect. The dial is clear and easy to read and the overall style has a simple elegance. The watch face is large about the size of the bigger ladies swatch watches. Overall a great buy. Excellent Value for money. Very attractive dial. looks nice on wrist. If you require a everyday/work watch then this is one to consider. As to the cost of the watch, it doesnt reflect in watch. It very stylish and eye catching. Affordable price , its a rubber watch and its very calm on the skin , might look too small on people with large risk . But overall it is simple and classy . This watch is a very simple yet affective design which allows easy to read time whilst looking stylish. It allows a good fit in which it doesnt move around the wrist enabling it to keep in its position, compared to other watches I have purchased which would spin around my wrist which made it very uncomfortable. I strongly suggest this watch if you are looking for a cheap, stylish and easy to read watch to impress. Who can live without this watch? Its clean, clear, simple and sound ... and so cheap that everyone can have one. I havent been without it for over ten years, and they go on making it because obviously we love this watch. From time to time I meet other wearers - we form a secret network of those in the know: they range from bus drivers to Harley Street doctors, who all have discovered that this simple little budget item looks smart, is SO easy to read and conserves your cash for buying your fancier, special-occasions-watch if you need one. Looks smart? Yes, what could be more minimal than black watch, white face, a hint of fetishism in the elegant rubber bracelet? Easy to read? Yes, Im numerically dyslexic so digital would be hopeless. But this has a FACE and HANDS, so I can see at a glance what sort of time it is without calculating at all. And to get all this and change from 15 pounds? Good simple watch, perfect for my work on an oil rig where no metallic bracelet watches are allowed and also a strap which would easily break if it became jammed somewhere, meaning you wouldnt injure yourself. This watch satisfies the stringent HSE guidelines in this industry. A good basic watch with lovely clear face. Basic but does the job. My husband has used this model before, its great as a rough wear watch as it is so reasonably priced. Invariably the strap gives up before the watch itself. i found this watch fantastic..what i thought i get the same style new packaging. boxed...watch shop is the best.. It is easy to read, and keeps time well. The watch is stylish and modern with a simple yet attractive design. Its an excellent watch. Simple but accurate. I will buy again for me or my family members. Good basic watch.What I was looking for.Lightweight.Dont realise Im wearing it at times. The watch is very beautiful, my son loved. Along with quality and good price. It was a very good purchase. Liked it!!!!!! Great product at a great price. Solid strap and clear and easy to see face. I highly recommend this product! This product is a brilliant first watch for day to day life as it is at the lower end of the price scale you dont need to worry about scratches like you would with a stainless steel or precious metal watch and the watch although it is cheaper it isnt noticable as the watch feels strong and well made. Very Good value watch for everyday use which met my wifes wishes. Black watch with clear black numbers on white background. The watch looks good and the battery last for ever. The Casio Classic is what is says. I bought the watch to replace a sports watch that I had. I didnt want anything expensive, it had to be robust, clear face and easy to use. This watch fits the bill. Great simple watch. Feels a bit cheap but then it is cheap. Great value for money. Does the job in smart, simple style. Minimal appearance,which goes with verything. Clear face, easy to read time even without glasses. Reasonable price and very functional for manual work. Great watch. Easy to see dial. Really good price with very quick delivery. Bought one for my nephew and then bought two more as I was so impressed. I am very pleased with the watch I purchased and more than happy with the delivery service which was extremely fast and efficient. I will definitely recommend Watch Shop and use them again in the future. The watch shop website was easy to use and the selection of watches was amazing. I am a postman so I was looking for a nice but cheap watch to wear on my round. The selection of watches available was amazing and I will be back on this site soon to buy a nice dress watch for special occasions. The watch I bought was still nice although cheap and it arrived within 3 days which I thought was excellant. All in all an excellant website and if you are looking for a watch look no further than the watch shop. You will not be dissapoin ted I thoroughly recommend this website. Good watch, idael for purpose ie: to wear for work. Good clear face which is easy to read for someone whose eyes are not what they once were. This was bought as an emergency watch as my main watch was requiring service. For less than a tenner, you cant go wrong - the strap is rubbery plastic and only just fitted me - tho I am a big chap! It keeps time and I cant say fairer than that. I bought this as a gift for my boyfriend as he does not usually wear a watch he wanted something that was simple yet stylish. I thought this Casio was perfect. The only bad thing I have to say is the packaging it came in. I was made to believe it would be packaged in a watch box but instead it arrived in a plastic case. I know this does not effect the quality of the watch but still disappointing. This is a very practical and neat-looking watch, whats more, its at a reasonable and affordable price. Good and nice! I would like to buy it again next time perhaps with different styles and colours. Excellent service and fast delivery ordered on Thursday afternoon and recieved Saturday morning. It was exactly wat was decribed and just what we wanted. The Casio Clasic Watch MQ-24-BLL is the most accurate watch Ive ever owned. I only have to reset the time when I change time zones. It is cheap £9.99 delivered and absolutely beautiful. My wife has also wears one and swears by them too. Ive used this model for the last twenty years. Its addictive. The strap breaks every two years, which is no problem for a £9.99 watch. An excellent response to my order. The watch is as described on the webpage and the service was quick and accurate, I am most satisfied with my purchase, both in terms of value for money and its practical style, and will use Watch Shop again when needed. Purchased as a Christmas present so not yet used. Like style & large clear face. I really liked the watch it as flexible and comfortable to wear, The numbers on the watch were clear and easy to read. The black colour looks like it could be wipe able if there are any accidents around it. I also have slim wrists and this fit perfectly. xcellent delivery, and very accurate discription of the watch, and got exactlly how it was described. The watch is easy to read, neat looking and comfortable to wear. The perfect marriage of form and function! Outstanding value. Excellent timepiece. Bought it for work and as far am very pleased with it. Looks simple, has an easy to read dial and fits in with all outfits. Perfect cheap watch for accurate time telling. 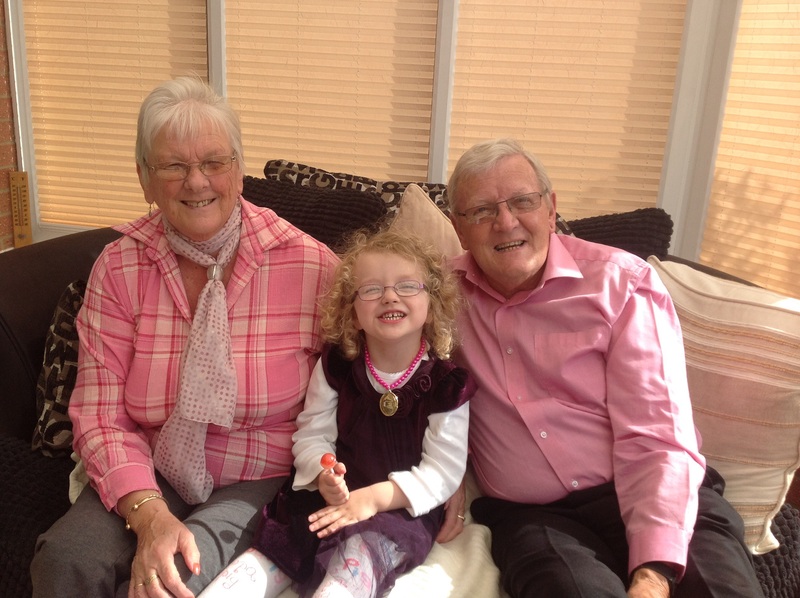 This was a positive experience, no problem, no waiting, simple process. Very little more to add or needs to be said about an on line service that does what it says on the web site. Very plain simple, reliable watch with a good clear dial. Timekeeping so far is 100pct accurate . Im not so keen on the resin strap but at this price I cant complain. i suggest casio come out with a bigger size same design watch. maybe try out dark blue color also? the watch is great very cheap caught it in the sale for under £12!!! its a simple watch for a simple price! The watch is exactly as illustrated. It has a nice clear dial which makes it simple to check the time. Easy to set the time, no special instructions required. easy to read. very quick delivery as well. The last time i bought casio was more than 20 yesrs ago when i was little child playing with the its light feature during night time and showing my friends how beautiful it is. To my surprise, i discovered that my love to Casio is not only a matter of a child showing how his dad spoiled him with a watch but rather a strong bond that linked human with beautiful product. While browsing the Product at watch shop, i saw the old love and the beautiful days when i saw my Casio. Perhaps time changed but casio remained beautiful with its light black band, round white base and unbeatable time precision. My contemporary casio is still sporty, casual, and formal which are three features not every watch would offer. My friends said that i had had more expensive watches before and this casio is not that expensive, but my reply remains that it is a life story that only Casio buyers know! Great watch a true classic. Bought it for my grandad and he was soo pleased. Clean and easy to read. Very accurate doesnt miss a beat :) .delivery was very fast. This unisex analogue watch is a brilliant complement to any outfit, with the bold white face standing out against its black surrounding case. The lines of this particular watch give it a real classic aesthetic, like a time-piece straight from an 80s film. The bold jet-black hands and numbers stand out against the brilliant white face, making it exceptionally easy to read the time in most lighting conditions. This piece makes a perfect watch for every day use, by combining a sturdy build with the simplicity of black and white, without the hassle of any extra buttons or dials. It keeps time perfectly and is remarkably easy to set. The wrist band of the piece is comfortable and light, allowing for unhindered movement of the arm. Additionally the band is soft and doesnt cause any irritation to the skin. 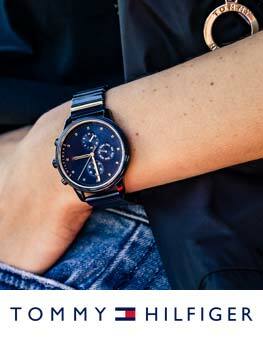 Overall this watch is a reliable, sleek and stylish classic suitable for any gender and any age, with any outfit. The perfect wrist watch. Fantastic watch for the money. Looks good, feels good and IS good! Boughtthis watch as a temporary measure while my very expensive watch is being repaired. Item excellent as expected and happy with prompt delivery and service. Very good dealer. Excellent product, exactly as described, a simple yet elegant watch for every day use. I already had one unsolicited comment that the face looked particularly well defined. Incredible value-for-money watch. Extremely easy to wear (very light) and can be read easily in any light. My last Casio (same model) was in use for 17 years ! Not bad for a watch costing less than £14. Im quite sure that this one will last just as long. As I have yet to receive the Casio watch that I ordered from you some weeks ago, then I cannot write a review. Please either send me this watch or immediately return the money to the card that I used to buy it. Thank you. J.L. Just received this in black today, and Im very pleased. It looks just as good on the wrist as a Swatch, at a fraction of the price. Very clear display, no need for peering! Looks nice. Like the white background. Excellent watch, fantastic value for money. A true classic. A definite buy for Casio fans or dead trendy retro guys. This watch is great, simple and attractive. Delivery was speedy and arrived the following day. Worth every penny. very easy to see the time and really comfortable to wear you cannot tell you have it on £10.80 delivered a snip. 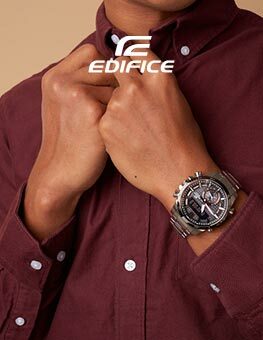 If you choose an active lifestyle full of adrenaline and adventure, then your wrist will certainly be a watch Casio. And all because the Casio watch - it's quality, the triumph of high technology and ease of use, at a great price!! I bought this watch for my 12 yr old daughter to wear to school. I was pleased with the quick delivery and it was packaged very well. My daughter loves the watch as it is pleasing to wear due to it being very light, comfortable and having such a clear watch face making it very easy to read the time. This watch is exactly what I wanted. It's simple. It's durable. It also has a 2-year warranty. It's awesome. Watch looks good and working well. Black colour with white face look very effective on wrist. Excellent watch for the money. Just needed a basic cheap watch for my outdoor job. excellent watch for the price paid. Moderate and simple look. Recomended for purchase. I brought one when I was in high school, and 6 years later it still works very great, except the band of the watch was broken weeks ago, therefore I brought a new one, and I hope this one could also last for a long time. The watch was fantastic. Unisex so I can share with my boyfriend! Black rubber like strap and a nice clear white face. Casio are known for being reliable and have really come up trumps with this one! I bought thie watch as the gifts for me and my bf. We both love it. It fits well with our cloth and so comfortable to wear. I think it looks good on both of us and I am even thinking to get another col.!!! This watch is a straight forward easy to read watch, being black with with a white face and clear legible no nonsense figures, it is a boon for any who are struggling as i was, with most of the new indistinct fancy dials, which look nice, but illedgible. I don't usually write reviews but with this watch i feel compelled to do so as i am so pleased with it. I wanted a watch to wear for work, that i could give a quick glance and know instantly what the time is. I like it so much that i have started wearing it out of work too. wanted I watch not to big to wear for work looks good had I week now and sometimes you don't know that you are wearing it. Keeps excellent time, the durable material it's made of is lightweight and comfortable to wear and it has stylish classic good looks. Excellent value for money. This Casio Classic watche is exactly that – a true classic and stylish with a traditional and simple appeal. It looks good with its black case, black strap and easy to read numerals on a white face. Fantastic value for money! Clean simple design.Easy to see without glasses.Looks tough enough to stand a bit of rough treatment during work or sports activities.If not it only cost a tenner,so no worries. 50 years ago my first watch cost £5 which was about average price. This Casio is good value. very good condition, simple style, suitable for people who love plain design stuff. I bought it for myself (I am a girl) and think it suits me perfectly. I love it. I'm very happy with the product. happy with delivery . happy with the quality of the product. Thanks very much Watch Shop.